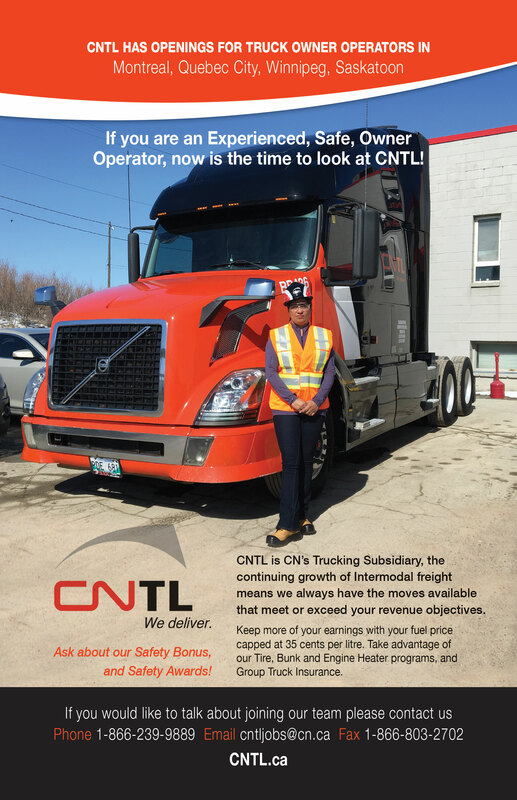 CNTL contracts independent truck owner operators to move cargo between CN’s intermodal terminals and customer locations. Intermodal has grown rapidly in recent years and will only continue to grow. Efficient and innovative, it’s generating new opportunities for independent owner operators.